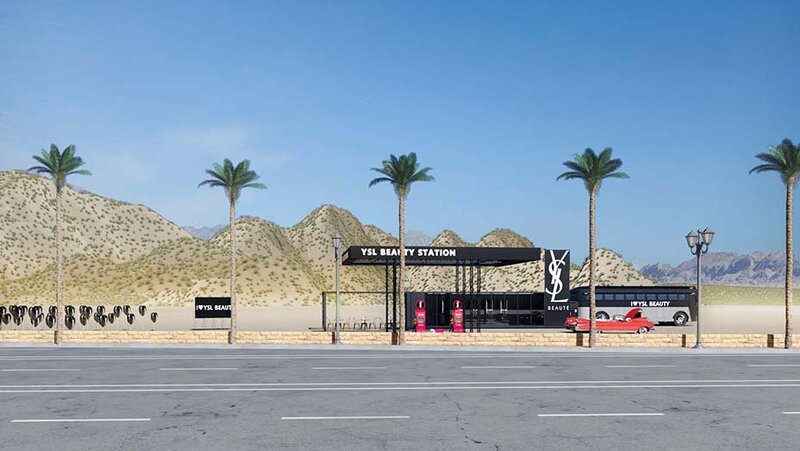 YSL Beauty will be hosting their first ever Coachella based pop-up on Route 111 in Palm Springs, California. 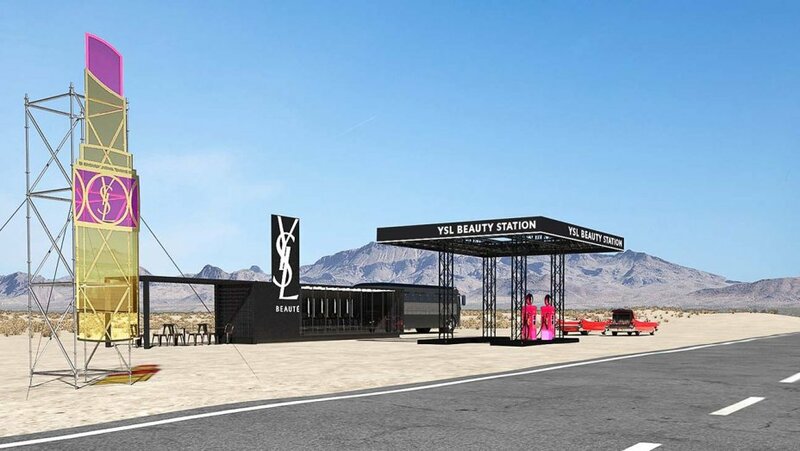 Open April 12-14 along Route 111 near Cathedral City, the YSL pop-up hailed as a “makeup oasis” will feature a tour bus, giant lipstick sign, heart-shaped balloons, convertible cars and neon pink gas pumps. Coinciding with the launch of their new Touche Éclat High Cover Radiant concealer, Rouge Volupté Shine lipstick, Touche Eclat All-Over brightening pen and Volupté Plump-in-Color plumping lip balm, at the YSL Beauty Station festival goers will be able to shop from the make-up vending machine, try up to 50 lipstick shades using VR technology and get expert beauty advice which they can then use during their festival stay. 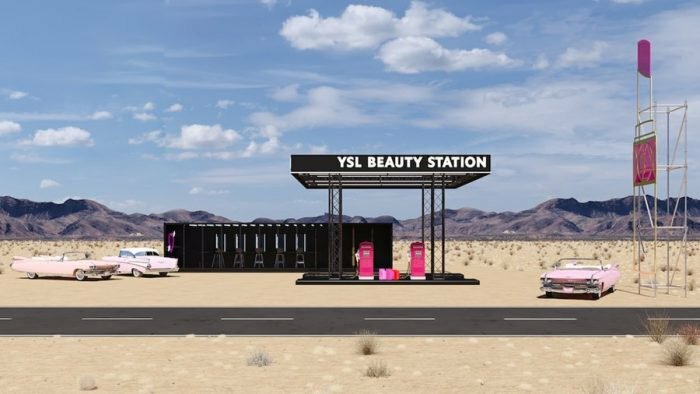 The pop-up store sits behind the YSL Beauty Station, as it houses the label’s newest and best-selling makeup essentials, in addition to a new campaign starring Kaia Gerber. The space includes four areas: one dedicated to the Touche Eclat Radiant Touch pen and the Touche Eclat High Cover Radiant Concealer, one to the Rogue Volupte Shine moisturizing lipstick and Volupte Plump-In-Colour lipstick, one to Tom Pecheux’s Palm Springs makeup looks, and finally one to the Make It Yours station where you can customize your favorite YSL lipstick.